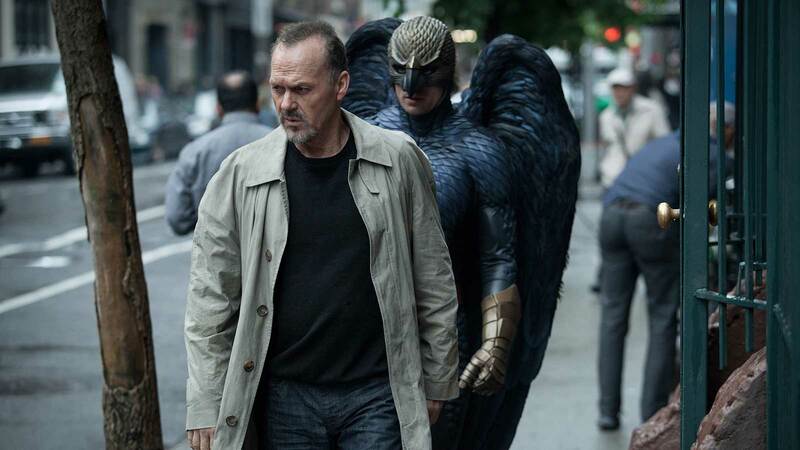 Josh and TJ joined me for our discussion of Birdman, and we had a great time talking about fame and trying to figure out why this movie was such a big deal. ...That, in a nutshell, is Birdman – a film about actors and acting, powered by naked desperation and a big splash of snobbery about our degraded cultural climate. The film is exhilarating, yet it’s easy to describe in a few words because it hits the same few notes over and over: a middle-aged man’s struggle to stay relevant – more than that, to “exist” – tied with an actor’s struggle to express himself, to risk everything night after night as he goes onstage. Acting in a theatre is like sitting on a high ledge and jumping (there’s a lot of sitting on ledges in this movie, and a fair bit of jumping): you might fall, and get squashed on the pavement – or you might soar like a bird, or a Birdman. Because the narrative spans what must be a few weeks, from the play’s rehearsals to previews to opening night, while never explicitly cutting away from a shot, the film both attenuates and condenses time. The decision is showy, but not merely so, as the sense of claustrophobia and almost continuous movement, mostly throughout the theater’s backstage and the hallways between the actors’ labyrinthine dressing rooms, makes for an effective experiential correlation to a psychological portrait of a jittery man in freefall—one who is surrounded by people going through their own states of frenetic self-doubt.